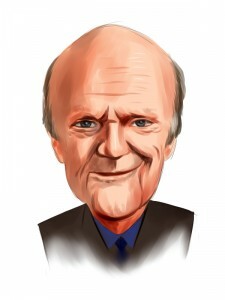 Julian Robertson is considered by many market watchers to be one of the greatest investors in recent history. He produced 32% annual returns at Tiger Management between 1980 and 1998- a bull market, yes, but still a market-beating performance. The manager has also left his mark on the investment world by seeding a number of his former employees at Tiger, also known as “Tiger Cubs,” to start their own funds (read more about Robertson and the Tiger Cubs). In an interview with CNBC in September 2011, Robertson made several predictions; ten months later, how have the specific investment theses he discussed on the show played out (watch the interview here)? Greece and Europe. Robertson predicted a default in Greece and that weaker European currencies (such as in Hungary) were good shorts. While “default” has turned out to be a complicated term, the restructuring of much of Greece’s sovereign debt earlier this year arguably counts; however, it is not clear how Robertson would have monetized this position. The Hungarian forint has fallen about 14% against the U.S. dollar since his interview last September, which would count as a win even before considering how highly levered many foreign exchange trades are. Our call: Big Win. Currency longs. Robertson was “very long” the Norwegian krone and spoke positively about the Canadian dollar. Unfortunately for him, the “flight to quality” represented by the U.S. dollar as the global economy confronts a slowdown, as well a slight decrease in the price of oil (a major export of both countries and a major import of the United States), has driven up the dollar relative to these two currencies. The krone is down 8% against the dollar, and with the high leverage common in foreign exchange trades this is particularly unprofitable. The Canadian dollar has zigged and zagged around parity with the U.S. dollar but at this point it too has weakened, down 2-3%. The one redeeming point in Robertson’s favor is that these currencies have performed well against the euro and the Swiss franc, it is merely that the U.S. dollar has done even better. If he instead ran a pair trade with, for example, the Hungarian forint, then that trade would have produced positive absolute returns due to the relative strength of the Norwegian and Canadian currencies. Our call: Loss. US equities. The hedge fund legend believed that there were many opportunities in stocks, particularly in technology, naming Apple (NASDAQ:AAPL) and Google (NASDAQ:GOOG). Even the most casual investor will nod at Apple, which is up about 55% since mid-September 2011. Google, at about 15% higher, is essentially even with both the NASDAQ and the S&P 500. Of course, his comment that the U.S. stock market was an attractive investment has also turned into an accurate prediction given this double-digit increase in the broader indices. Our call: Big Win. Credit cards. Robertson found Mastercard (NYSE:MA) and Visa (NYSE:V) “very appealing” as the banks, not the credit card companies, suffer any credit losses and the card companies have excellent chances for growth. Looking at the stock charts since his interview, Visa is up about 40% and Mastercard is up about 30%, blowing broader market indices away. Our call: Big Win. US Treasuries. Robertson asserted that interest rates on U.S. Treasuries could move dramatically. In that sense, he was correct; however, in context, he was expecting a possibility of a sell-off of Treasuries and therefore quite wrong. In fact, interest rates have dropped by roughly a quarter- from 2% to just below 1.5% on the 10-year- amid worries about low growth and confidence from most investors that inflation will be low. Retail investors in the iShares Barclays 7-10 Year Treasury ETF (NYSEArca:IEF) have seen about a 5% gain since the interview. This has underperformed the S&P 500, but with less traditional market risk. Our call: Loss. Robertson seems to still have a talent for identifying and capitalizing on macro trends and undervalued businesses. The only miscalculation he seems to have made is underestimating the perseverance of the U.S. dollar and Treasuries, and from an economic perspective it appears strange at first glance to see the dollar rising in value even as interest rates fall, theoretically offering investors lower returns. Of course this has occurred because of a perception that the rest of the developed world is worse off than the U.S. with Europe (including Britain) likely in recession and Japan unable to turn its economy around from its lost decades. Overall, our estimates indicate that Robertson has made profits on the trades he recommended on CNBC (check out his latest holdings).